First and foremost, I am a storyteller. It's why I started this blog. I believe storytelling is the essence of culture in a world of curious people. It's how we learn to interact with others, how we form and recall memories and, whether through our own lived experience or the experience of others, how we learn new information. Look at the shoes in the photo above – who's shoes are they? Why are they up there? Why so many? How long have they been there? Who was the first person to think 'I know, Ima throw my shoes up there!'? Did they know they were starting a phenomenon of people throwing their shoes on to some power lines and (probably) dubbing it 'the power lines with the shoes' from that day on? I don't know. But, oh, how I want to know. I'm sure it's a great story. Think about why you came here – you were probably looking for information about a place or experience from someone who's been there and done it, and you (hopefully) found it through the stories on this blog. I think everyone should have a platform to share their travel stories to help and inspire others, but I understand that not everyone has the confidence, skills, or the opportunity to do so, and that's where I come in! 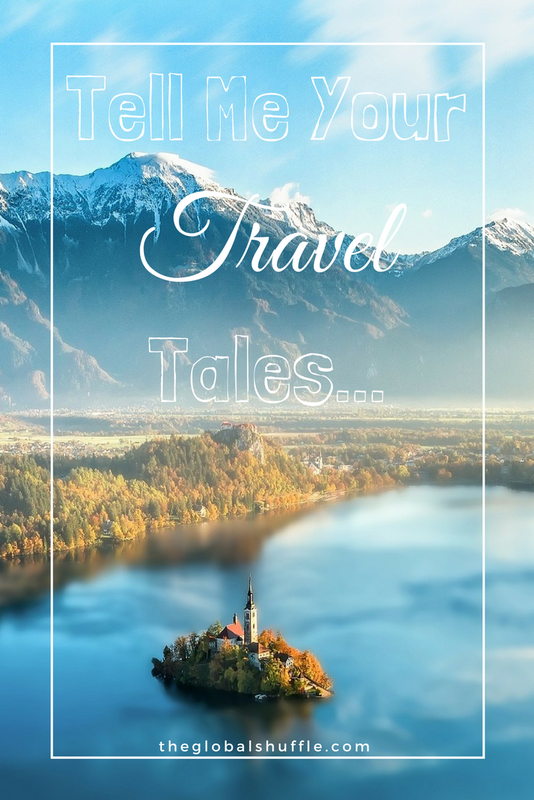 Submit your best travel story (link below) and I'll work with you to edit and turn it into its bets self, then I'll publish it here with your name under the title. I accept stories from absolutely anyone – as long as there's a beginning, middle, and an end, send it on through and we'll get started. For information on word counts, response times, and links to your company website, visit the FAQs page. If your question isn't answered there, feel free to contact me – even if you think it’s a ridiculous question, you never know unless you ask! Pin it so you don't forget to submit!